Ford will move its small-car production to Mexico. A Ford plant in Fort Rock, Michigan. Ford is just begging for an angry tweet from Donald Trump. The automaker confirmed Wednesday that it would move all of its U.S. small-car production to Mexico, a step that will save on labor costs thanks to lower wages south of the border, where it’s building a $1.6 billion factory. Obviously, this sort of thing is political catnip for Trump, who has promised to do all sorts of unpleasant things to manufacturers that attempt to shift production abroad. Back in April, when Ford announced its plans to build that plant in San Luis Potosi, the Republican presidential candidate called the move an “absolute disgrace” and promised that such travesties wouldn’t take place under his watch. But leaving aside the politics, I think this development might illustrate a happy story about trade effects on the U.S. economy. One of the points you often hear economists raise in favor of the North American Free Trade Agreement is that it has allowed the U.S. auto industry to thrive by moving low-margin manufacturing to Mexico, where wages are cheaper, while leaving more profitable work in the U.S. Often, this means integrating the supply chains between the two countries, so U.S.-made raw materials are turned into parts in Mexican factories, and shipped back again over the border to be assembled into trucks and SUVs. But Ford’s announcement also fits into that framework. The big U.S. automakers have historically had difficulty making much money on small cars manufactured on American soil (it’s not impossible to do, but it’s not easy). They have much, much less trouble earning money making bigger SUVs, crossovers, and pickups domestically. 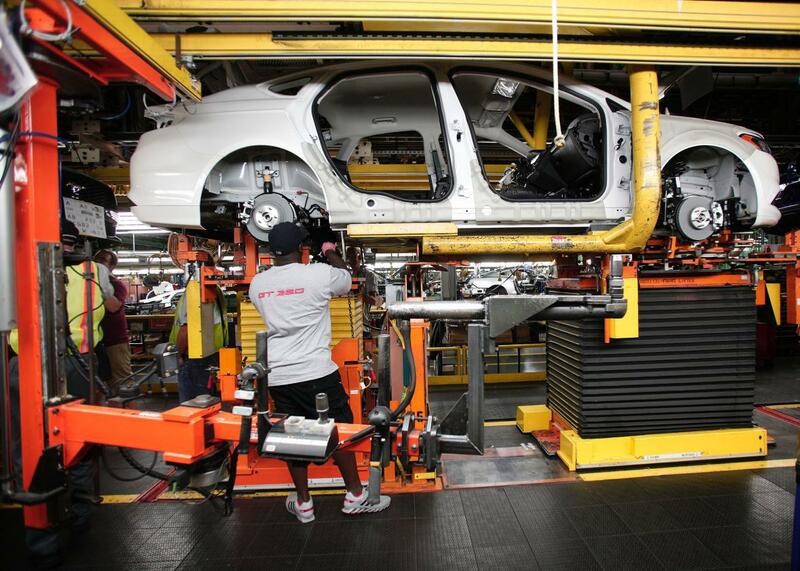 Ford, for its part, will be moving production of its Focus and C-Max out of an assembly plant in Wayne, Michigan. But, as the AP notes, the factory “will be getting new products under a contract signed last year with the United Auto Workers union. They will likely be larger, more profitable vehicles like the Ford Ranger pickup.” Moreover, Ford has said Americans won’t be losing any jobs (which is a pretty good illustration of why it’s nice to have a union around). This seems like a fairly efficient outcome for all involved. High-value production stays in the U.S., while lower-value work moves to Mexico, where it can be done at a cost that keeps Ford’s products price-competitive. You can protest that Ford should find a way to consistently churn out profits while manufacturing small cars at home, but that’s easier said than done. And given that the whole American auto industry was on death’s door less than a decade ago, it doesn’t seem so wrong to root for these companies to stay financially healthy. None of this will stop Trump from turning Ford into a whipping boy. But that goes without saying.